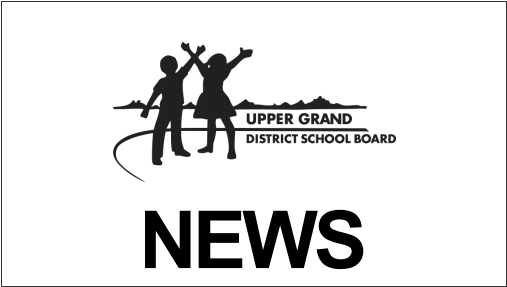 GUELPH, Ontario – Kindergarten Registration for the Upper Grand District School Board is just around the corner. Registration for new UGDSB JK and SK students for September 2019 will take place at your child’s home school January 8-18, 2019. The process for Kindergarten registration begins online. Parents and guardians are required to pre-register their child online prior to registering them at the school. Preregistering online can be done at www.ugdsb.ca/kindergarten, between Jan. 8-18. Pre-registering online will save families time by allowing them to fill out important forms and documentation when it’s convenient for them. Online pre-registration can also be done at the child’s home school. Once they’ve pre-registered online, parents/guardians must go into their child’s home school before the Jan. 18th deadline, in order to drop off documentation and complete their registration. All UGDSB schools that offer French Immersion at the Junior Kindergarten level have an enrolment cap. All parents/guardians wishing to apply for JK French Immersion must have completed their application by Jan. 18, 2019 at 4 p.m., in order to be considered ‘on time.’ For more information on the JK FI application and selection process, visit www.ugdsb.ca/jkfi. English Track families can pre-register their child online starting January 8th as well, and there is no window for ‘on-time’ registrations, however, English Track families are reminded to bring in their documentation within two weeks of registering. For more information about kindergarten registration, please visit the board website. A helpful video has also been created to help parents/guardians navigate registering their child.